The request from 2 trade unions asking government workers whom they represent to stay off the job on Monday as part of industrial action to conclude negotiations for the period 2013 to 2016, is described by the Government’s Negotiating Team as ‘disappointing’ because it can have adverse effects on service delivery to general public. 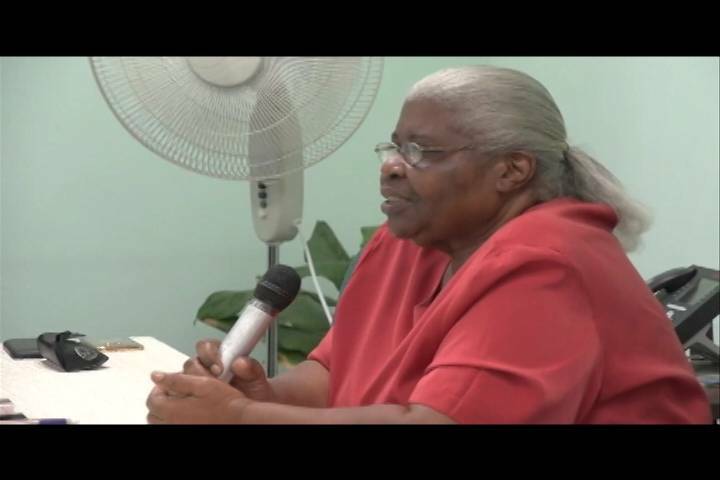 “The government negotiating team is indeed disappointed that the leadership of the Public Workers Union (PWU) and the Grenada Technical and Allied Workers Union (TAWU) has rejected the mediation effort of the Minister for Labour to settle the dispute of the one-off payment to public service employees,” said Beryl Isaac in an address aired on radio early Monday morning. Last Friday unions announced that they have asked their membership to stay off the job on Monday as part of industrial action to conclude the negotiations. The unions originally asked for EC$2,000 as a one-off payment for the period 2013 to 2016 but reduced the demand to EC$1,500 after they accepted a payment of EC$1,000 earlier in the year with an assurance from government that it would increase in July if the fiscal space allowed. Government has offered EC$650 on but the unions have described that amount as ‘insulting’ to the workers who made sacrifices during the period of the structural adjustment programme. The government’s negotiating team said that while it recognises that the union leadership may demand more for its members, government has to be guided by its responsibility to the nation, which includes all other workers in the economy who also shared in the sacrifice for recovery. “Workers in the private sector — banking and telecommunications, for example, have lost jobs, while government has protected the jobs of its employees. Unlike what occurred in other islands, the Grenada Government has not retrenched a single employee,” said the statement which explains that the total additional amount of money paid to public service employees since the New National Party’s return as the government, is more than $106 million. Appealing to the unions’ leadership to accept the recommendation of the Minister for Labour, the negotiating team reminded them that the state’s expenditure on its public service employees will be significantly increased as the government executes its commitment to the restoration and reform of pensions, which will cost the people of Grenada hundreds of millions of dollars. Negotiations on pensions are currently ongoing. “It is just not possible for the state to pay more without seriously damaging the fiscal recovery programme and violating the Fiscal Responsibility Act, which could jeopardise the debt forgiveness of over $400m and return the country to the economic state prior to the Structural Adjustment Programme,” the statement added. Andre Lewis, President General of the TAWU said that as far as his union is concerned, the membership is on strike and at the end of today they will decide the next step. However, the government’s negotiating team says that the before any industrial action is taken, the rightful step should be arbitration. The following is a statement from the Government’s Negotiating Team on the current state of affairs with respect to negotiations with the Public Workers Union and the Grenada Technical and Allied Workers Union and their call for strike action.